Two notorious criminals linked to Senator Dino Melaye, and had indicted the lawmaker as their arms supplier, have reportedly escaped from prison. The two suspects, Kabiru Seudu, aka Osama and Nuhu Salish aka Small, along with four others were said to have escaped the ‘A’ division cell in Lokoja, around 3:00am and forcefully went through the back door. The Kogi State commissioner of Police, Ali Janga who confirmed the story, said the police has declared the escaped suspects wanted along with Senator Melaye and Mohamed Audu. 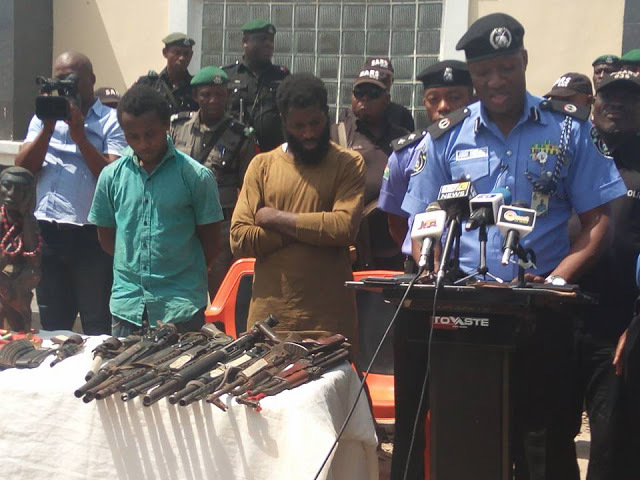 “The Nigeria Police Force, Kogi State Police Command today 28th March, 2018 received a news that six (6) suspected criminal elements namely; Kabiru Seidu a.k.a Osama, Nuhu Salisu a.k.a Small, Aliyu Isa, Adams Suleiman, Emmanuel Audu and Musa Mohammed who were under detention at the 'A' Division Lokoja escaped from lawful custody. Four of the suspects were on court remand including two that indicted Senator Dino Melaye and Mohammed Audi. "Members of the public are hereby enjoined to go about their lawful duty as the Command is determined in ensuring adequate security of lives and property in Kogi State."